Leslie is approachable, honest, and friendly. But most of all, she is fiercely dedicated to ensuring her clients understand and receive the best legal advice and service she can provide. Her commitment and integrity have helped Kirk Law Office earn its reputation as one of Ottawa’s most reliable firms. Leslie’s specialty is helping buyers, sellers, and investors navigate the legal aspects of the real estate market, including rent-to- own/purchase-option transactions, multi-unit residential purchases and sales, new condominium purchases, and institutional and private (including RRSP-funded) mortgages on behalf of lenders and borrowers. An Ottawa native, Leslie obtained her B.Sc. (Honours) in mathematics at Queen’s University before returning home to study law at the University of Ottawa. 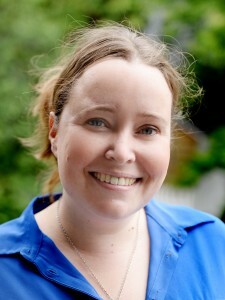 She was called to the Bar in Ontario in 2009 after completing her articles with the City of Ottawa’s legal department. She is a current member of the Canadian Bar Association, Ontario Bar Association, the Law Society of Upper Canada, and the County of Carleton Law Association (CCLA). As a committed member of her community, Leslie volunteers with the Old Ottawa East Community Association and is a member of the Ellwood House II project development team. She is a speaker at local Continuing Professional Development events in the Nation’s Capital, and a former instructor with the University of Ottawa’s Faculty of Law. 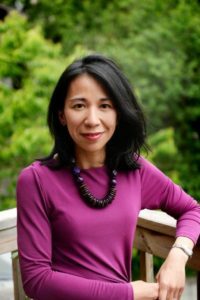 Prior to working at Kirk Law Office, Diem worked as a lawyer at Kelly Santini LLP in Ottawa and as a consulting manager at Accenture in Toronto. While at Accenture, Diem worked with global and national financial institutions to re-design business processes and implement customer relationship management software. In addition to consulting, she has taught at Accenture’s training facility in the United States. Diem became an integral part of Kirk Law Office based on her extraordinary ability to relate to clients. Her diverse range of experience and dedication to developing positive, trusting relationships with those she works with are significant contributors to her strong success as a lawyer. Diem’s areas of expertise are business, real estate (residential and commercial), and estate planning law. Her past legal transactions cover a wide range of industries and dollar figures, including a $32 million mortgage. Aside from her work as a lawyer, Diem is an instructor with University of Ottawa’s Faculty of Law and a graduate student with a passion for housing. Since moving to Ottawa, she has quickly embraced the city, with the Rideau Canal featuring prominently in the background of her life. Living and working a few blocks from the canal allows Diem and her family to enjoy frequent bike rides, picnics and runs. Request a consultation, contact us, or read through our services in greater detail. © 2019 kirklawoffice.ca. All rights reserved.